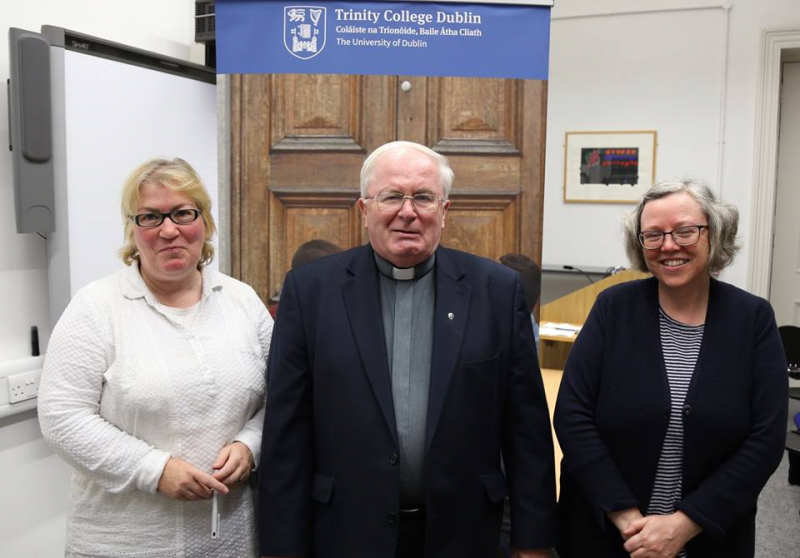 The presentation of the Sean O’Riordan Scholarships for MPhil in Christian Theology took place in the Loyola Institute on 29th September last. Fr Dan Baragry CSsR (Provincial of the Irish Redemptorists) attended a reception to welcome students at the commencement of Loyola Institute’s new MPhil in Christian Theology. At this Fr Baragry presented two scholarships named in memory of Redemptorist theologian Sean O’Riordan. The winning MPhil students are Beverley Collins and Edith O’Nuallain.